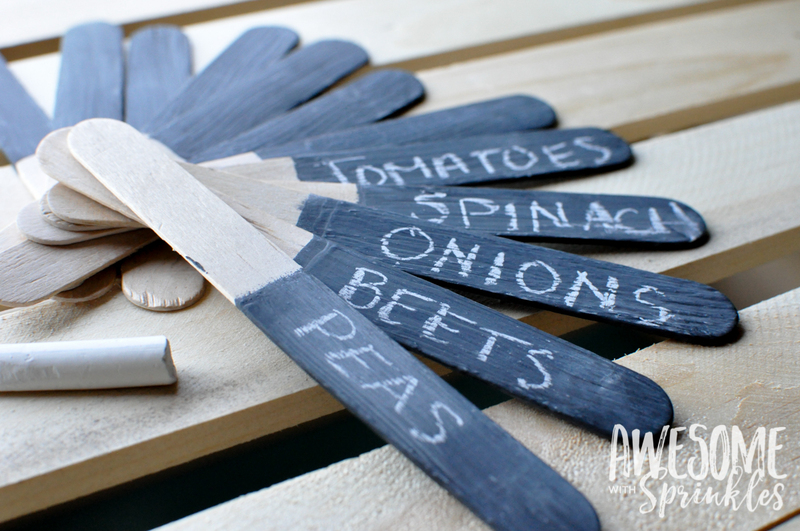 Toss those manufacturers labels, empty seed packets, plastic spoons or whatever else you are using to label your rows of veggies and spruce up your space with these cute chalkboard painted garden labels. 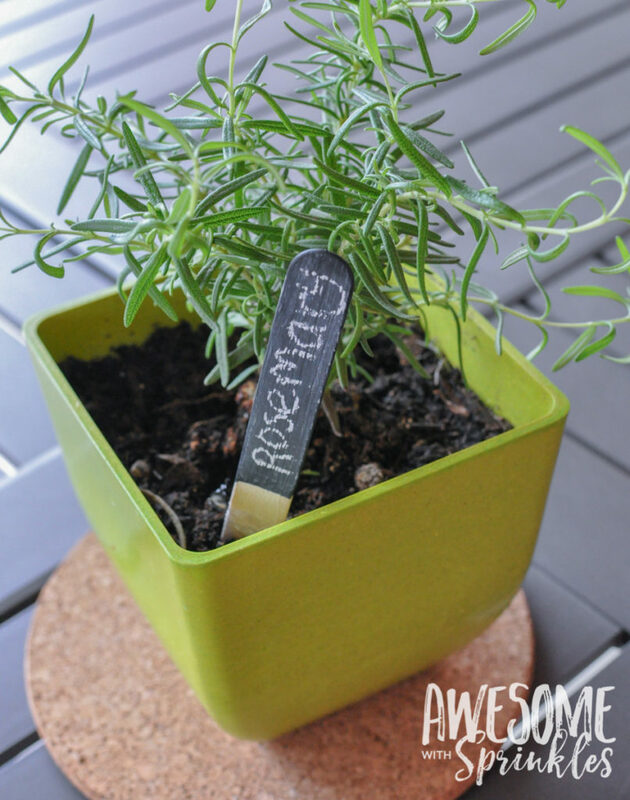 Get that popular reclaimed/handcrafted look for a fraction of the cost of purchasing kitschy garden labels at a home decor store. 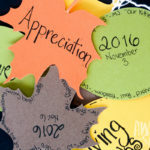 These cute little labels are so easy to make! 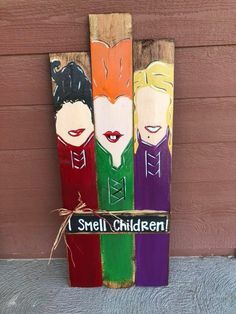 They would even be a great project to do with the kiddies. 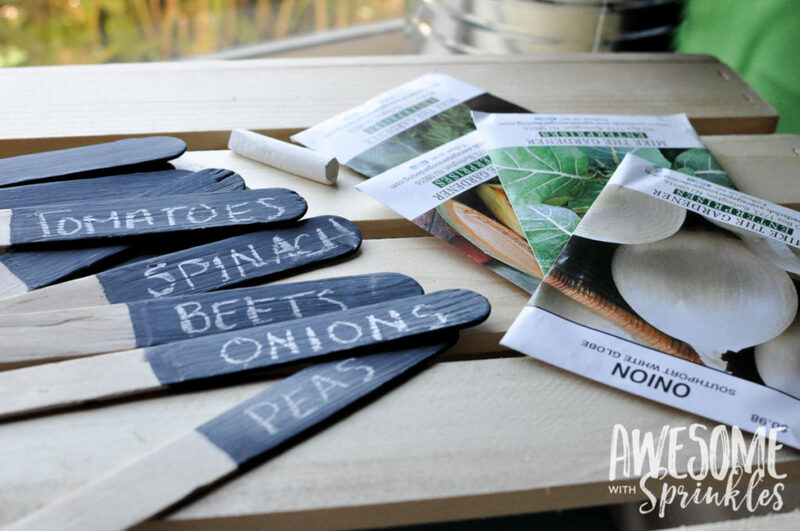 Mother’s Day is coming up and how fun of a gift would these be paired with some seed packets for Mom to grow her own greens or with some fresh potted herbs. Love it! Prep your painting area by laying down newspaper or butcher paper so that you don’t get this dark paint on your work table. Poke your wooden sticks into the foam block spacing them far enough apart so that they don’t touch each other and you don’t touch the wet sticks while putting them back in the block. Putting them in the block first makes it easier to adjust the spacing (before they are wet) and also makes it easier to put them back in the block after they are painted without having use so much force and possibly smudge the paint. 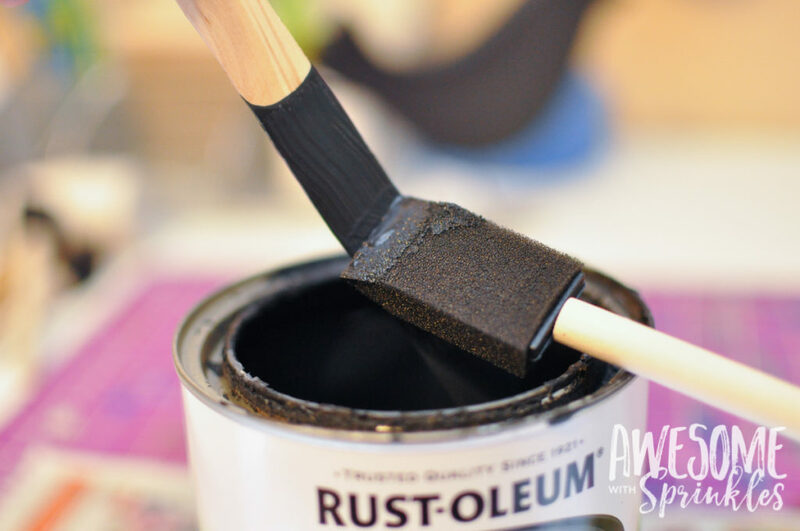 If you are using a large container of paint or making your own, a good idea is to pour some of your paint into a smaller container or cup that is deep enough to cover your stick up to the last few inches. (This will also make it easier to retrieve a stick if you happen to drop it into the paint.) This can of paint has been well used around my house so it was only about half full which was perfect! 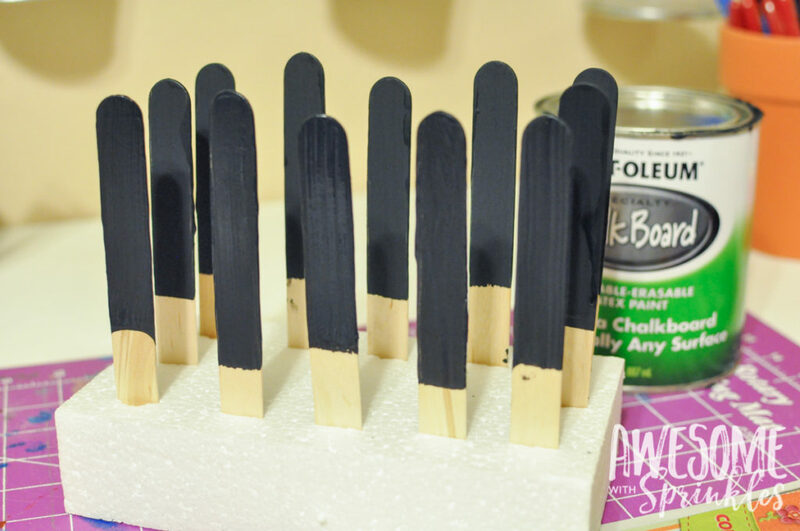 Dip your sticks into the paint leaving about 2 inches unpainted at the end. 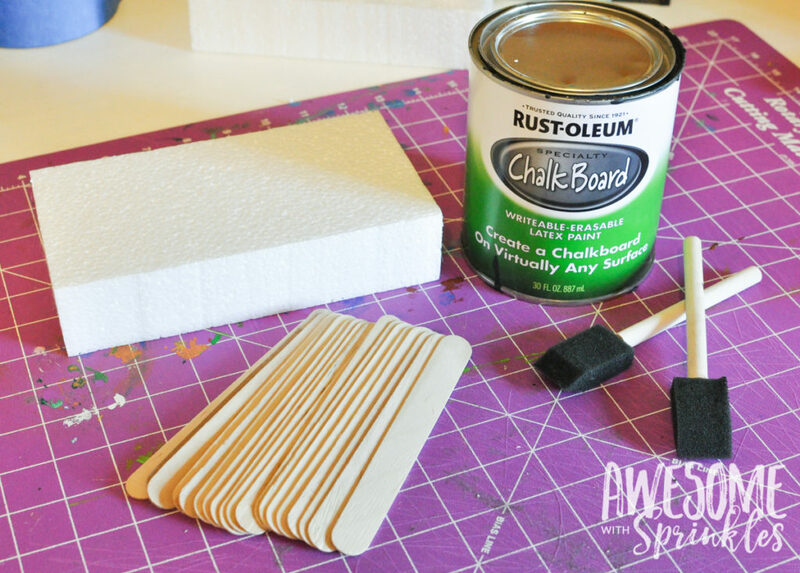 Wipe off any excess paint with your foam brush and smooth out any drips. Place your painted stick back into the foam block to dry (about 30 mins). Dip again for a second coat and then let dry overnight. 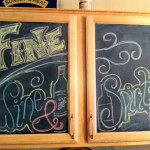 As with most chalkboard painted surfaces, it is a good idea to prep the surface before writing on it. 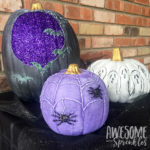 To do this, take a piece of chalk, and rub the side of the chalk all over the surface of the chalkboard painted area and then wipe clean with a dry cloth. 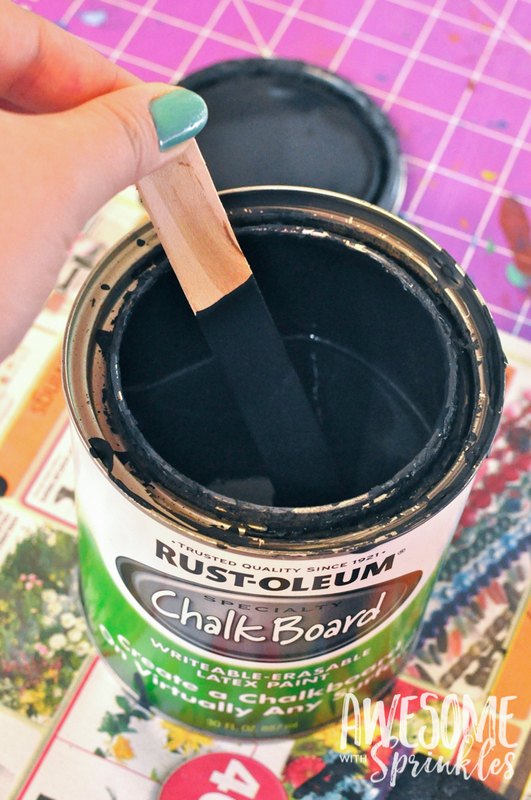 This will get a good layer of chalk dust onto the paint ensuring that your surface will erase more easily. 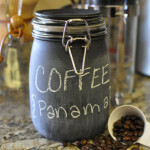 If you ever need to completely erase your chalk labels, wipe them clean with a damp cloth. 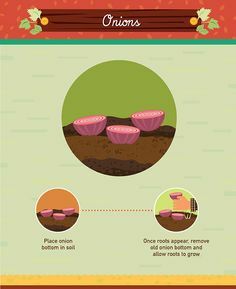 Prep the surface again before writing on it. 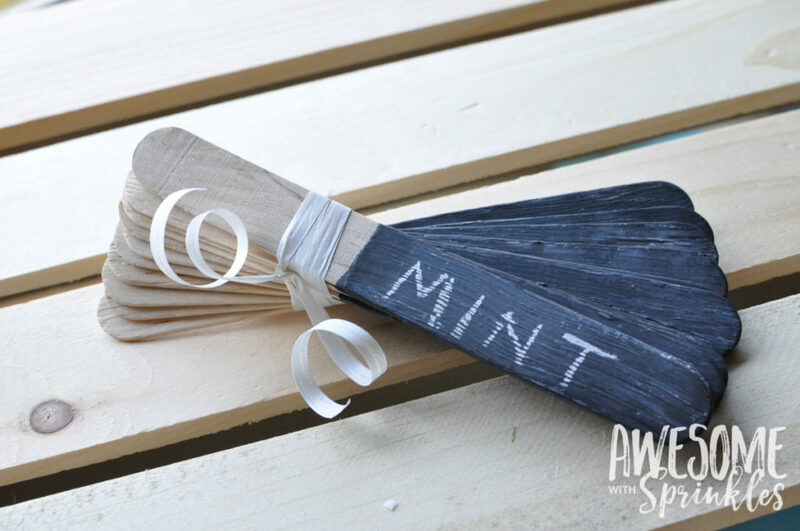 Quick Tip: If you are worried about the chalk washing off in your garden, you can also use a chalk marker, white permanent paint marker, or spray with a little clear acrylic sealer spray for a more permanent label. 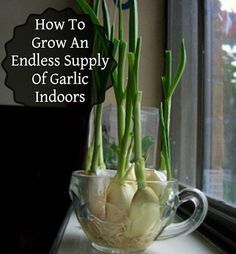 This makes them less reusable, but more durable if you are gardening outdoors. 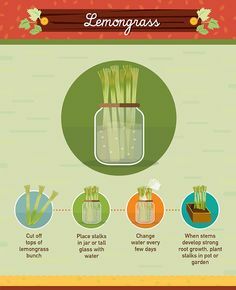 Write on a label, stick it in your pot and you are all done! 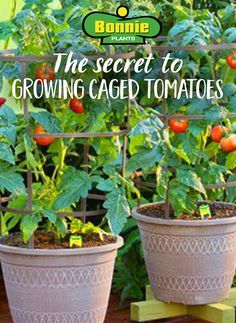 Step back and enjoy that the cute factor on your garden just went up. I love your ideas! 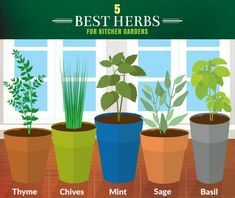 I am getting married this summer and my parry favor will be potted herbs and I will be using your idea for the names of my guests. I was thinking that I may need to use a wider tongue depressor to fit my guests’ names. 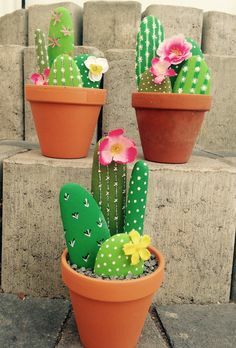 Any suggestions as to where I may be able to purchase them? Thanks!